The New Year is just around the corner and with that comes a slew of New Year’s Resolutions. This is year I’m taking a different approach t0 resolutions rather than change a “bad habit” I’ve decided to improve upon an already good habit, walking. I’m setting a goal to walk at least 3, 000,000 steps in 2013! Three million steps may sound like a lot until you break it down and see it’s 10,000 steps on 3oo hundred days of 2013. Totally doable! Reaching that goal is going to be simpler with my new Fitbit Zip. The Zip is a newish gadget from Fitbit. 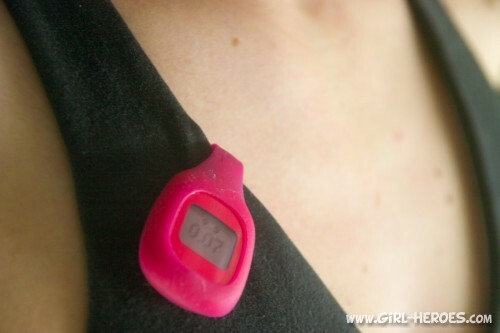 Zip tracks your number of steps, calories burned, distance, and it is a clock. It automatically (after intial set up) and wirelessly syncs to your computer and select smartphones. Here is what I think after wearing the Fitbit Zip for a over month now. Secure: My Fitbit Zip stays in place all day long whether clipped to the my waistband, inside my pocket, or on my bra. Easy to Read: A few taps on the screen scrolls through your stats. If you have a compatible smartphone you can check your stats without even looking at the device. No Monthly Subscription Fee: When you purchase the Zip you gain access to their free (and easy to use) online dashboard and free mobile app which shows your daily and cumulative progress. Syncs with Other Health Apps: I just recently opened up a MyFitnessPal to account to stay accountable to a friend. (Do I really want that extra glass of wine?) I was excited to find out that MyFitnessPal syncs my meals and activities to my Fitbit account and adjusts my daily net calorie goal based on my activity. Check out the list of Fitbit compatible apps. The Initial Set Up: The initial set up was easy. You just insert the battery using the battery door tool and set up your free Fitbit account and sync using the USB dongle. Excellent Customer Service: I had a few questions about synching to my computer (I didn’t realize I needed to keep the dongle in my USB port.) and Fitbit emailed me back quickly with a friendly and helpful response. Fun!!! 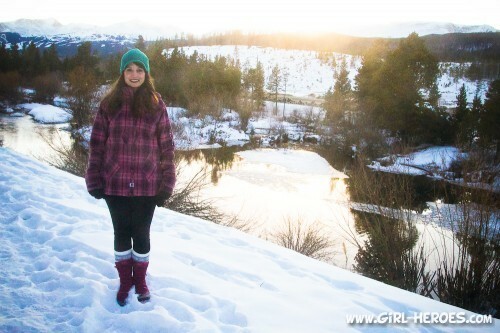 : It’s fun to go on a hike and see how much you walked. It’s fun to look at your progress on your Fitbit dashboard. It’s fun to set and reach goals. It’s fun to get an email congratulating you on reaching your goals. Remember to Add Your Activity: You have to enter any extra activity other than walking separately to get a more accurate calorie burn. This is especially important if you are tracking your calories. You want to make sure you are eating enough to support your caloric output so your metabolism stays firing so don’t forget to add that extra activity. Not always lightening fast: Most of the time it syncs quickly but sometimes it takes a minute or two to sync to my computer or phone. Not a big deal but wanted to let you know. Not rechargeable: Unlike it’s cousin the Fitbit, the Zip is not rechargeable and uses a watch battery. The battery will last 4-6 months. On one hand I would prefer it to be rechargeable. On the other hand, it’s really great to not have an extra cord to deal with or have to remember to charge it. Questions you may have about my Fitbit Zip Review. 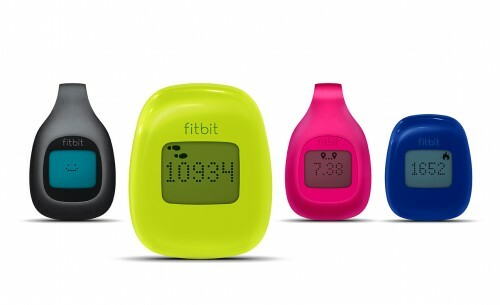 What is the difference between the Fitbit One and the Fitbit Zip? 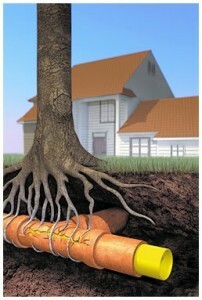 The Zip is less expensive than the One. The Zip doesn’t track sleep, floors climbed, or have an alarm. 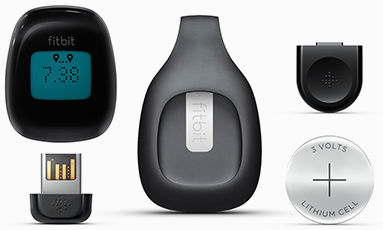 You can compare the Fitbit Zip to the Fitbit One side by side here. How big is the Fitbit Zip? It’s small but not so small that you worry about losing it. I also don’t have any trouble hiding it when I want to wear it but not see it. Do you think the calorie burn is accurate? I have never had my metabolism professionally tested so I can’t comment with certainty on its accuracy. I will say I think it is a very good estimate. My calories burned on the Zip (as long as I add my extra activities) are comparable to other activity trackers I have used. As always it’s most important to listen to your body over a device. If you are hungry then eat. If you are exhausted then rest no matter what a device says. 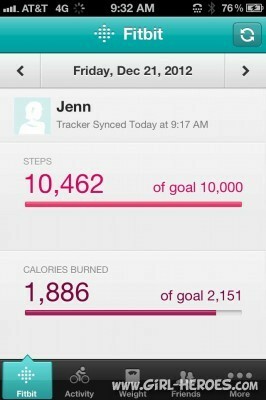 I use the Fitbit Zip as it is intended as a motivational tool and it’s AWESOME! Most of my favorite activities are sedentary and the Zip gives me the motivation I need to get up and move more. Here is the best part of my Fitbit Zip review!! 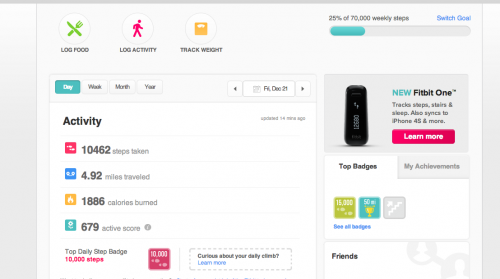 You can win a Fitbit Zip to help you reach your New Year’s goals!!! Fitbit has generously offered to give one Zip away to a Girl Heroes reader. Giveaway open to US residents 18 and older only! 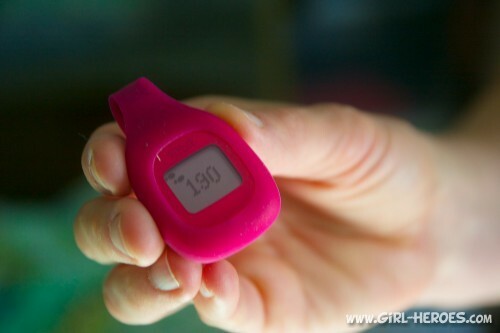 Have you ever used a Fitbit Zip or other activity tracker? What was your experience? Are you setting any fitness goals for 2013? Journey with our family on the road at Newschool Nomads as we travel full time in RV through the United States! Disclosure: I was provided a Fitbit Zip for the purpose of this review. All opinions are my own.